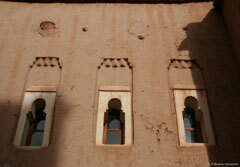 You can find the typical Berber architecture looking at the Ksar or in the qasba or Kasbah. 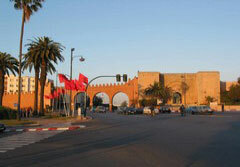 The Ksar is a fortress with walls and four towers surrounded it, there is a unique gate that connect it to the main road, usually this gate is covered. The walls are made with soil in the down part, and with bricks in the high one, the windows are long and narrow, they permit the entrance of the sun light and at the same time to protect from the enemies. 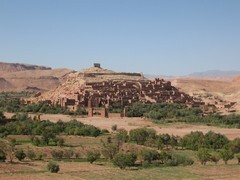 The Kasbah is a building quite similar to the Ksar, but is structure is more urban, the hues are more strong and the towers are delicately decorate. Sahn: courtyard with a basin for the ablutions. 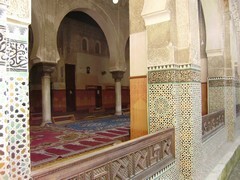 Haram: hall dedicate for the prayers. 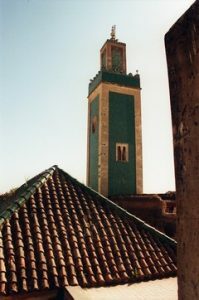 Mirhab: niche located in the direction of the Mecca. Minbar: pulpit where the Imam delivers the sermon. 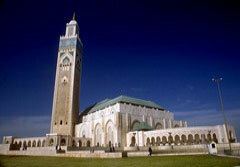 Minaret: minaret, in Morocco is a tower with a square base.